Travel is changing, and has been for quite a while. We see the changes. We experience them. 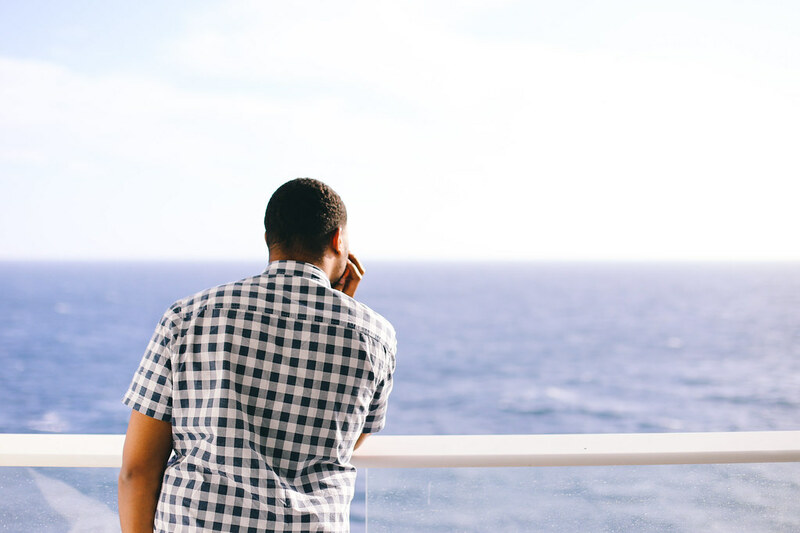 With that being said, it’s clear that travel is more than getting from point A to point B. It’s about an immersive experience that puts those travelling in an environment that is comfortable, enjoyable and something that they remember. Naturally, this occurs with technology and innovation. 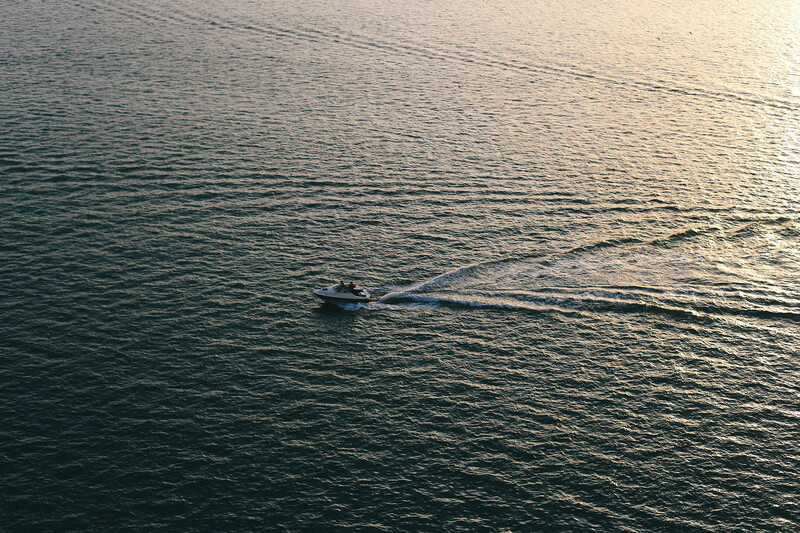 But more than that, the future of travel lies with forward thinking. We’ve seen this with many things, from planes getting wifi, to Richard Branson having the dream of sending the general public in to space. 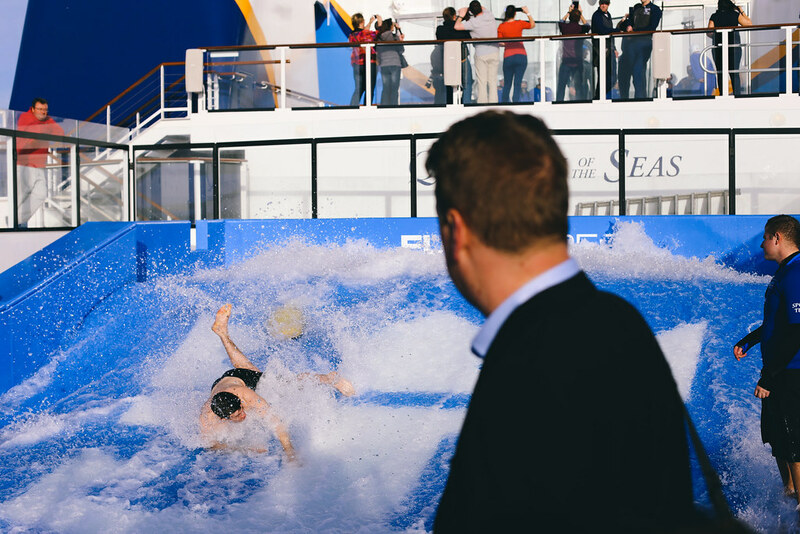 Cruises have always been a weird one, in that they combine travel and a holiday all in one. 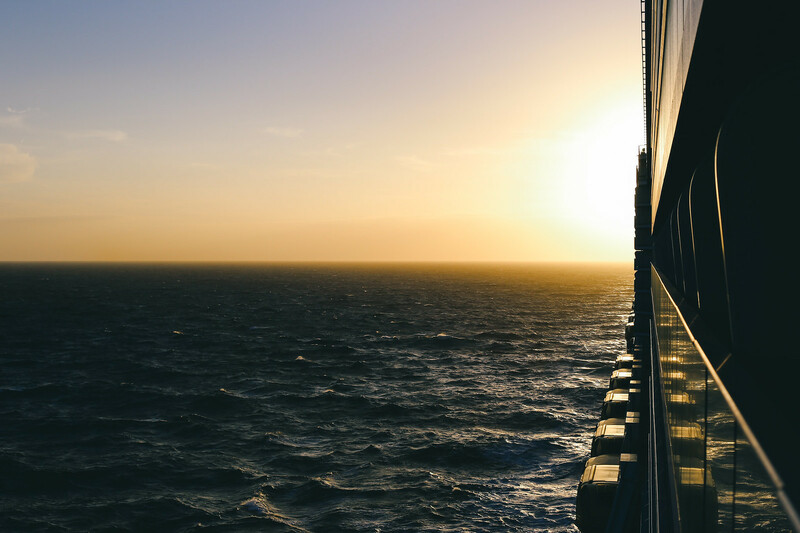 I mean, when it comes to a travel experience, a cruise has to be up there, right? A huge ship, everything you need in walking distance, and you get to see a number of places. 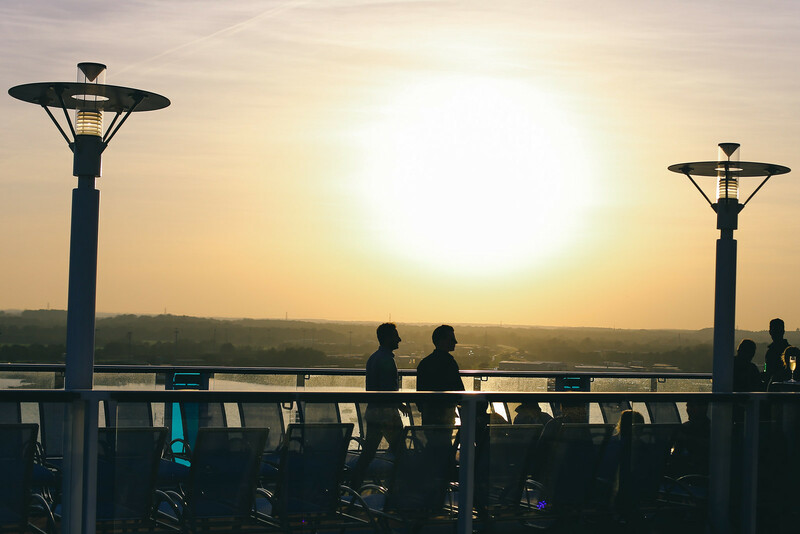 While the ships have been big (that battle is over), and the locations on point, cruises haven’t quite delivered that full experience on board to get everyone interested. How much fun are they? Is it really a holiday I want to have? Perception is everything! 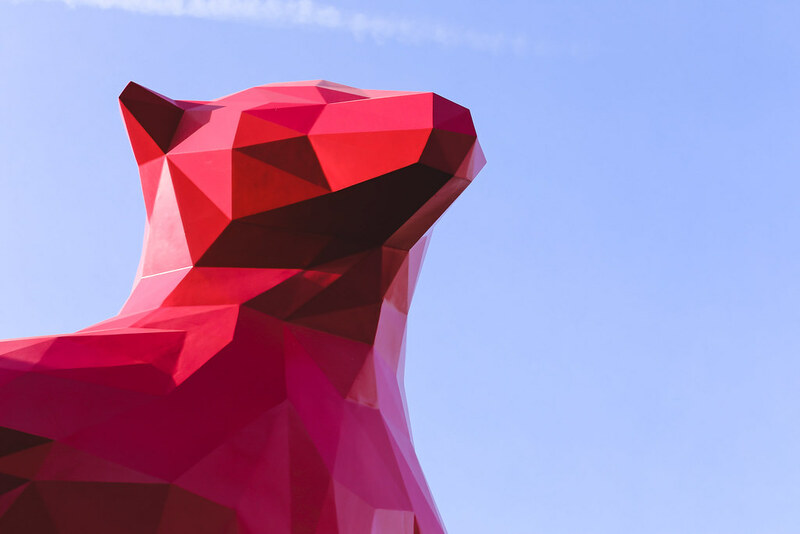 The way things are perceived can have a positive or adverse affect on sales, interactivity and reputation regardless of the facts. Unfortunately the cruise industry suffers from a perception vs reality battle on a regular basis. 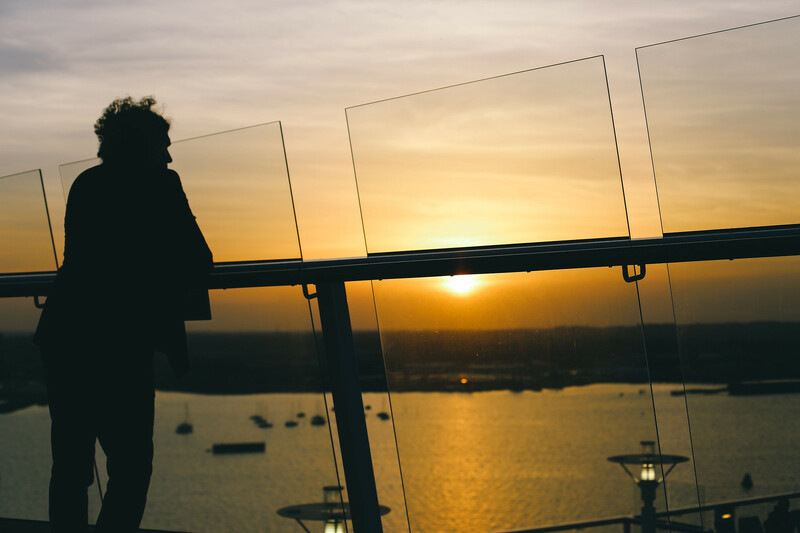 As a group of young individuals our collective attitude towards cruise holidays was similar to those in and around our age bracket – cruises are for old people! 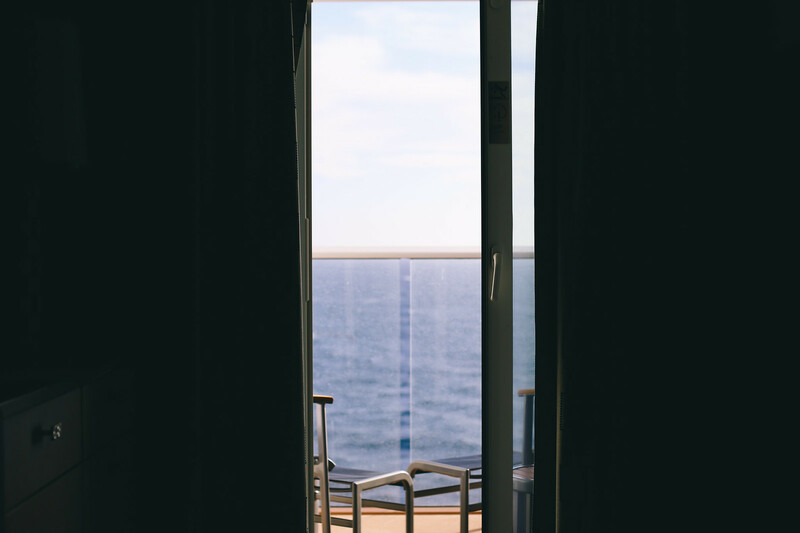 Although the perception is that cruise ships cater to the older generation there has still always been intrigue and curiosity surrounding the notion of a holiday on sea so when Royal Caribbean asked us to hop aboard their new cruise liner Quantum of the Seas we knew we couldn’t turn the opportunity down. 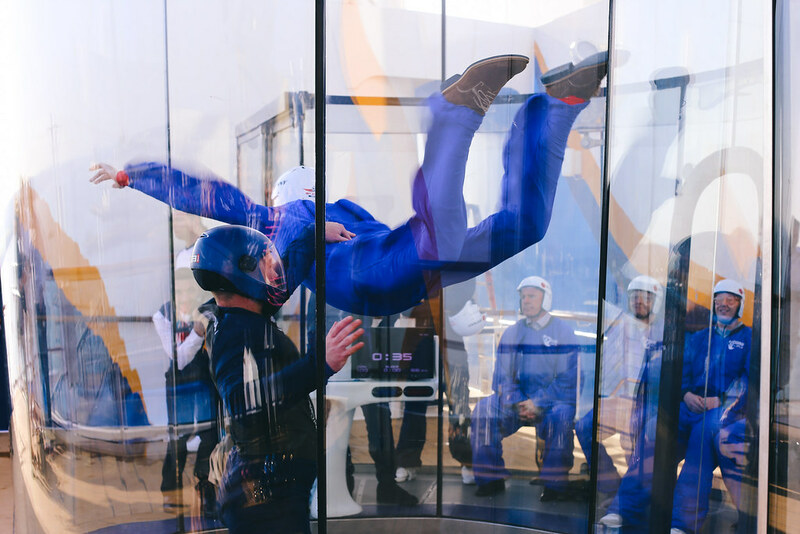 We were given a heads up by the guys at Royal Caribbean that it’s a revolutionised approach to cruises. 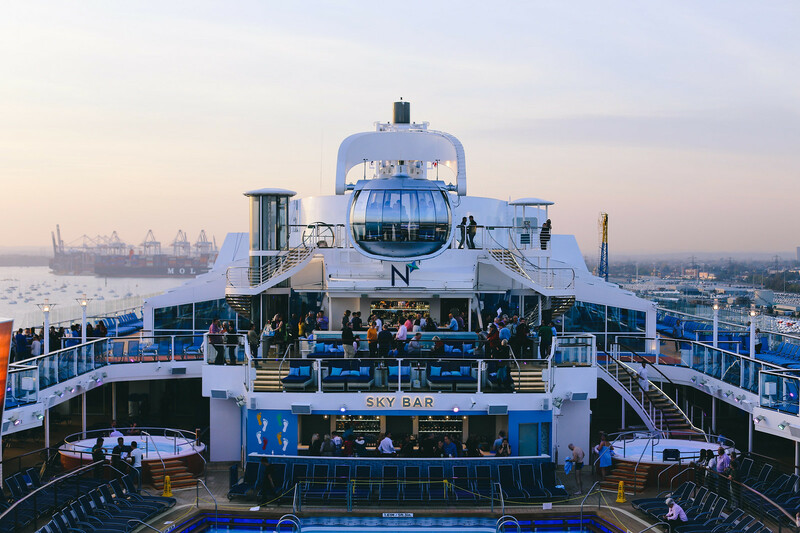 Naive, we weren’t expecting much different to what we had heard about cruises already. 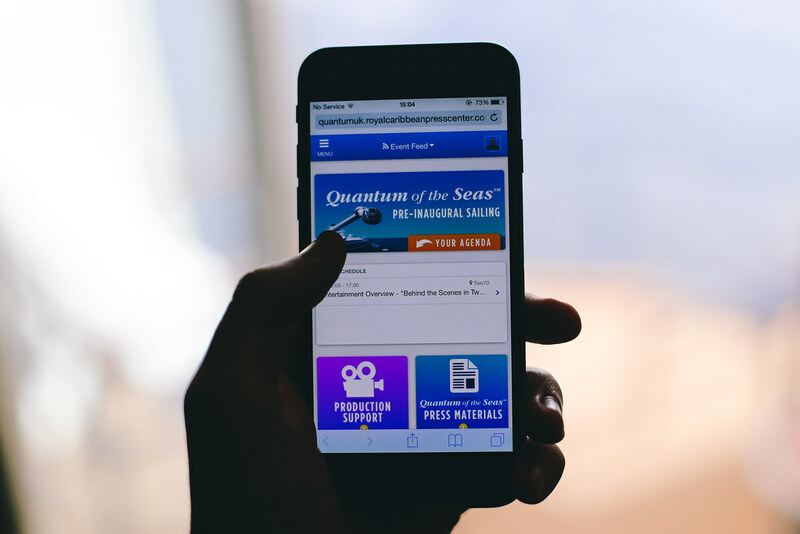 That all changed however when we logged in to our online dashboard a few days before the cruise, checked in online, updated our itinerary and downloaded the app. 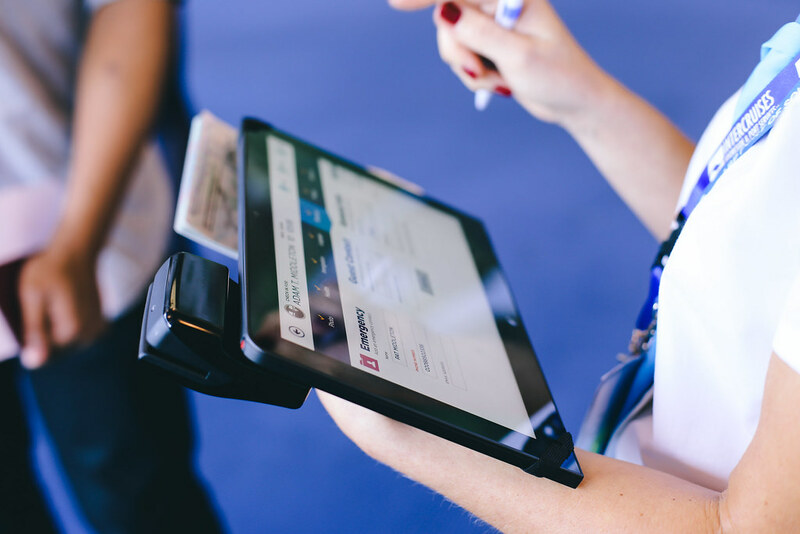 We then arrived at the terminal in Southampton, checked in with one of the Royal Caribbean team on her tablet, and stepped on to the ship. 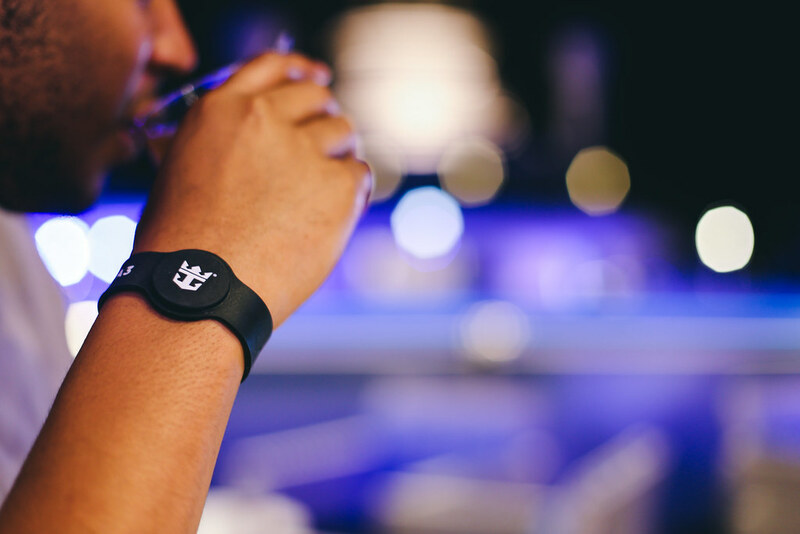 Once on board, we used the smart stations that represented something similar to an Apple store to sign in and book our dinner for the evening. 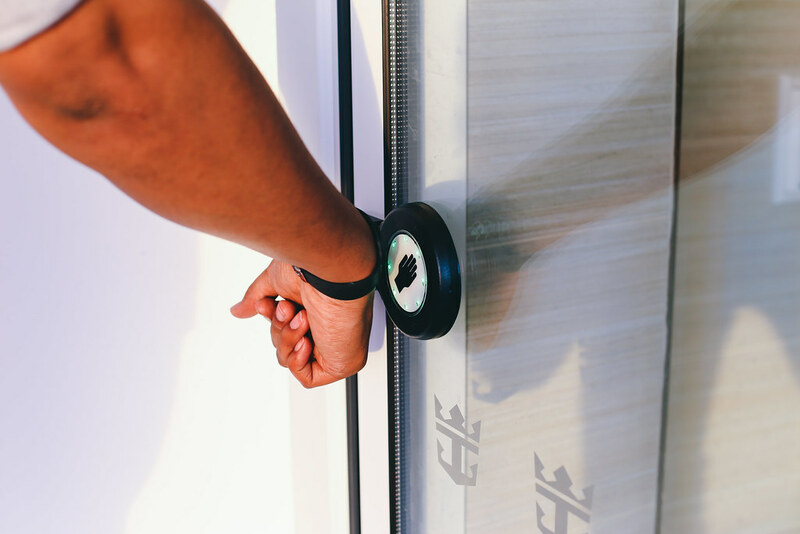 We then made our way to our room to pick up our key cards and NFC wrist bands we’d be using to sign in to things around the ship. 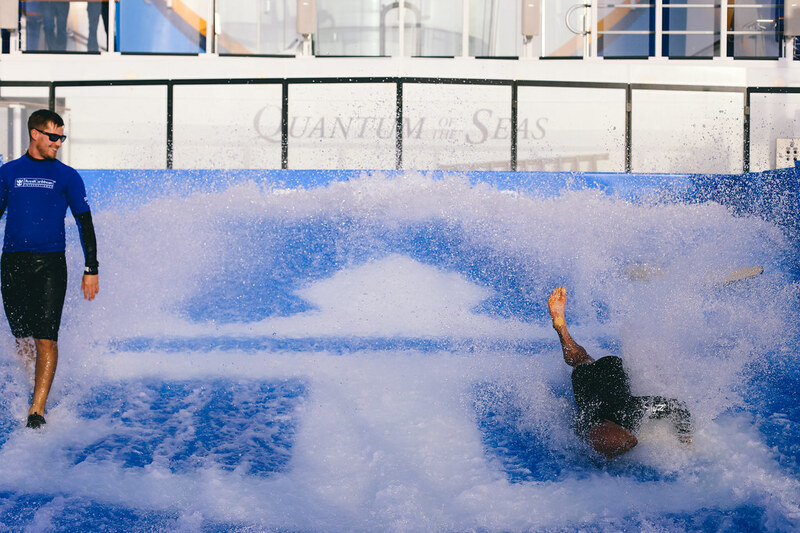 As you can see, the experience on board a cruise ship is already significantly different to anything else out there. 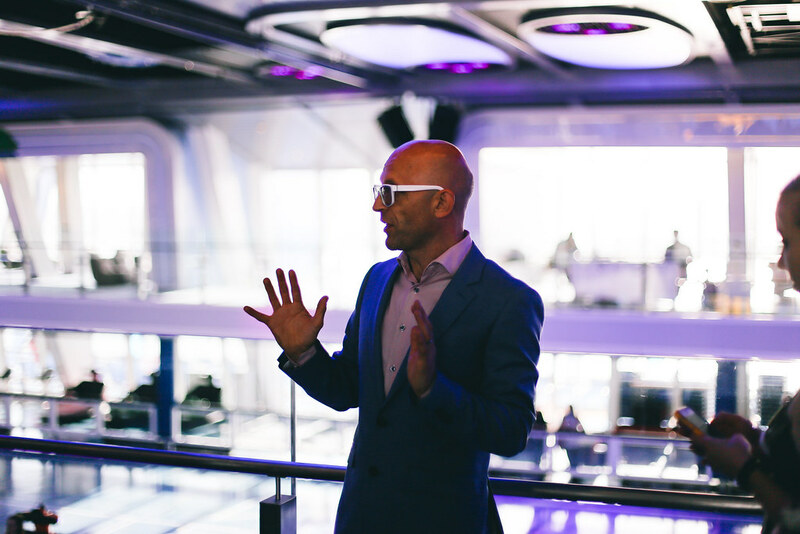 After a tour with Gadget Show guy Jason Bradbury, we had seen enough of the ship to stand there looking at each other and saying “what the…”. This ship was a beast. An ultra-futuristic beast. 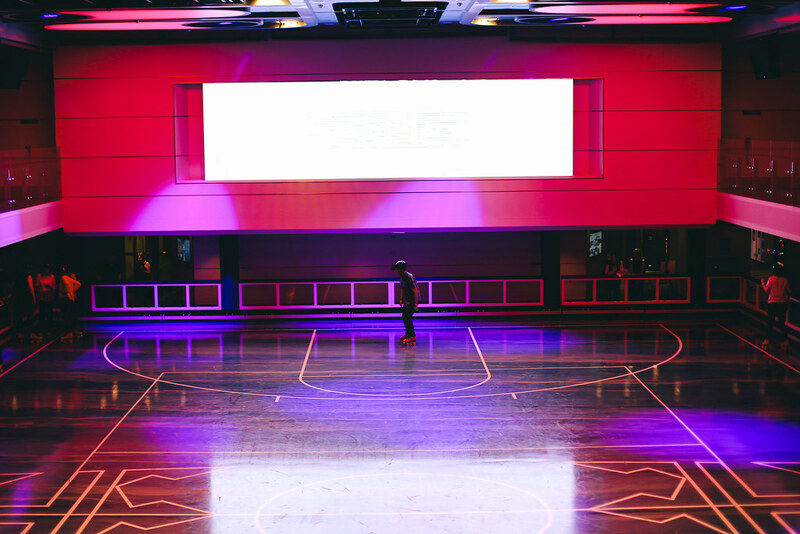 We explored the indoor bumper cars/basketball court/trapezes/skating rink/everything, and then walked through the arcade and Xbox 360 room before getting to a bar staffed by robots. 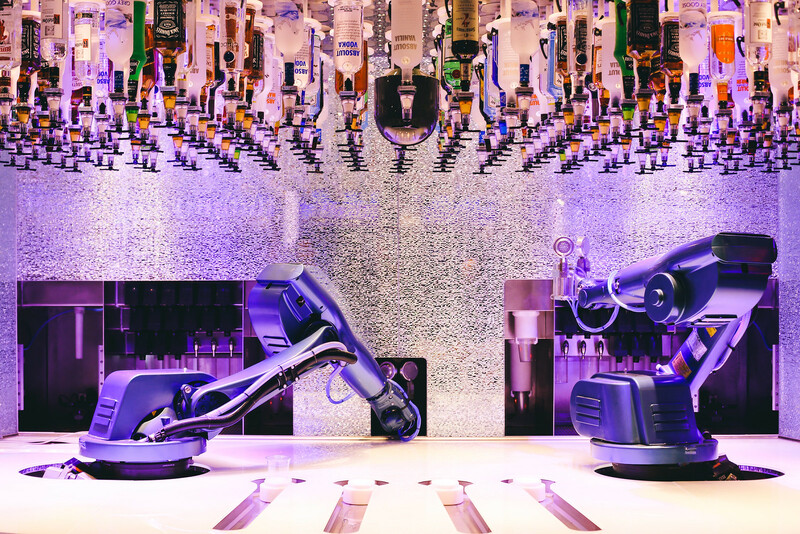 Two bionic arms await your order, selecting from 127 bottles above them, make your drink and pass it your way. 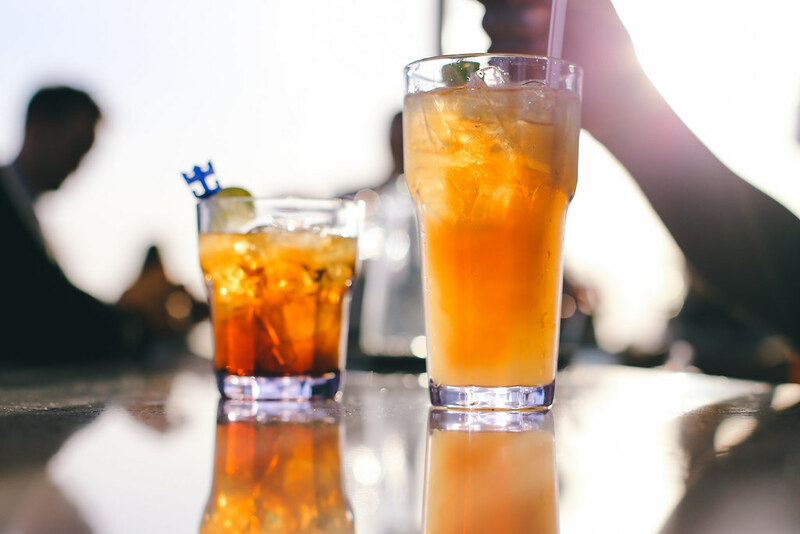 I mean, these things are so cool they didn’t even need to be bartenders. But it served me up a rum and coke and I was set. We really enjoyed watching people fall over on the surfing simulator, in case you couldn’t tell. 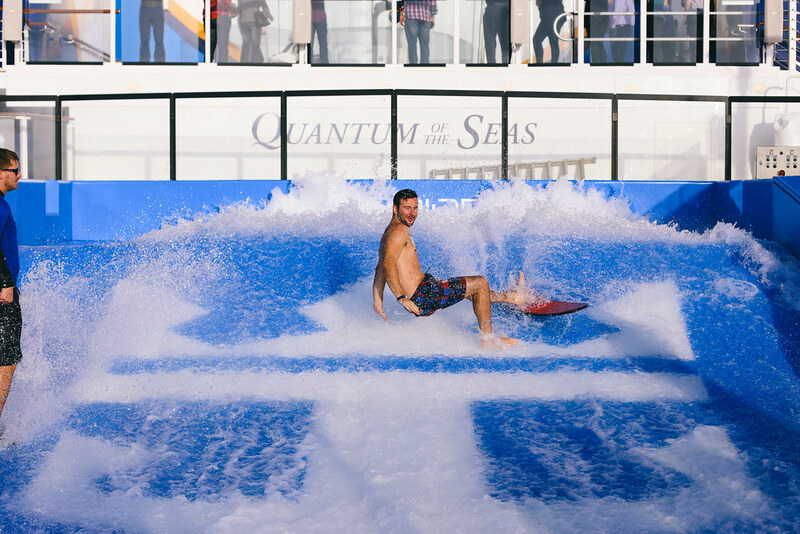 Asides from indoor skydiving, a surfing simulator, and a casino that allows you to sign in through your NFC wristband before you win the jackpot in the middle of the ocean, rooms with virtual balconies made from 80-inch screens streaming footage from outside the ship, two key standouts were Two70 and the North Star. 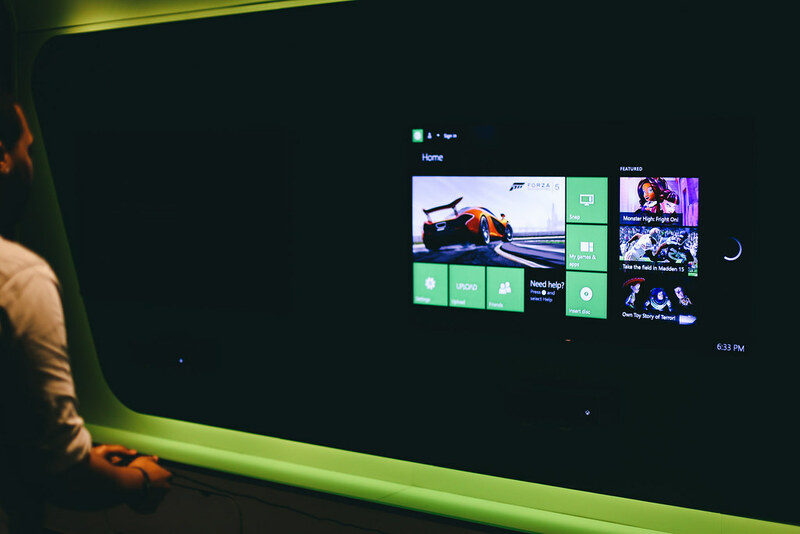 Two70 is essentially a futuristic living room of the ship. 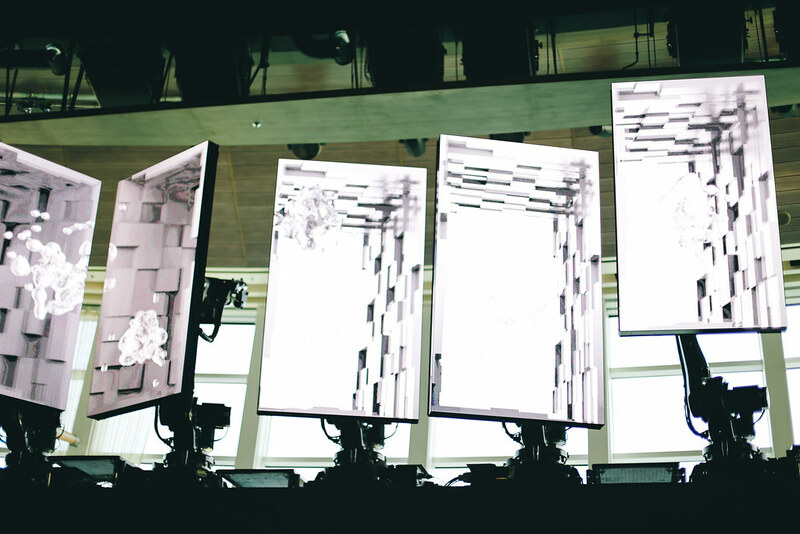 A 12K screen (yes, 12K) and 18 projectors lights up the space, allowing for shows to come to life. 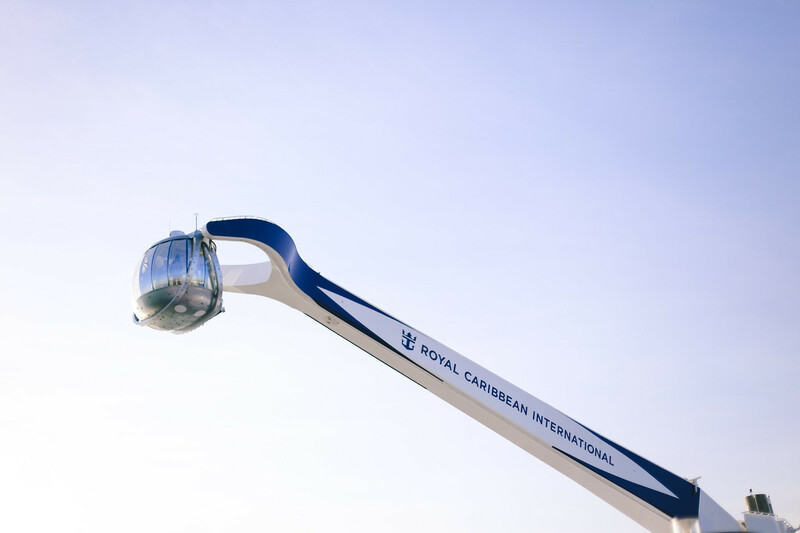 Meanwhile, the North Star sends guests 300ft above sea level in a London Eye-style pod to give you a view like no other. I can only imagine how exciting that would be looking over the Caribbean. 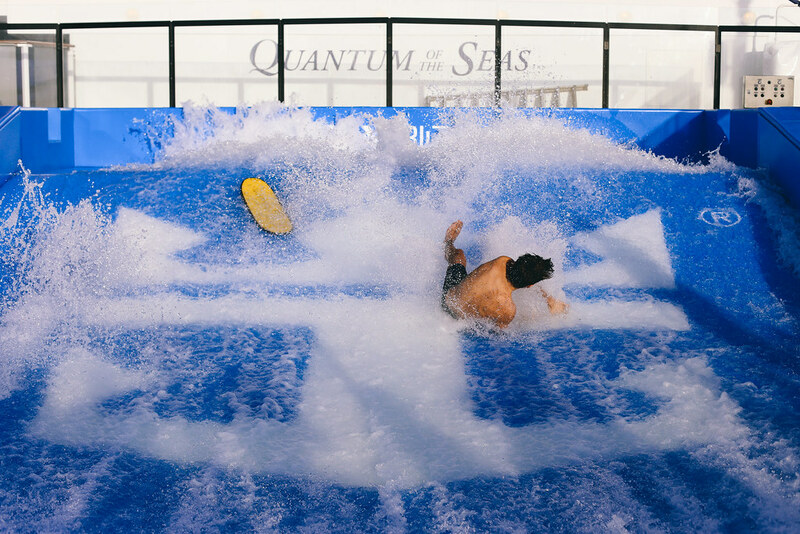 The Quantum of the Seas is like nothing else. 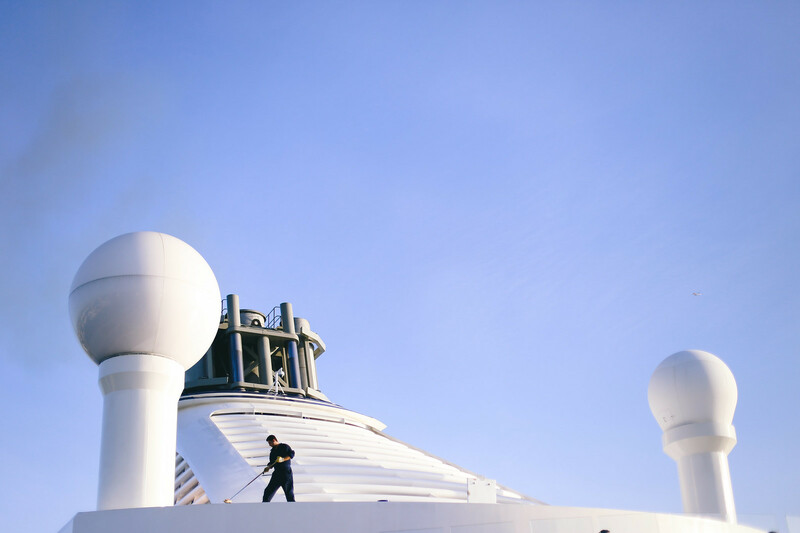 High speed WiFi allows connection for guests to Instagram the life out of it, using satellites that have been sent to space specifically for guests on this ship. 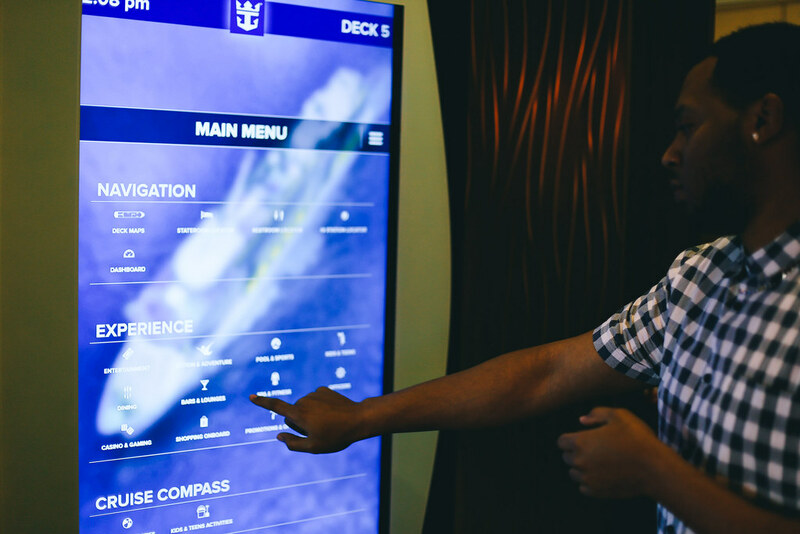 It’s looking at every other cruise ship out there and saying “look, this is what the cruise experience is all about”. 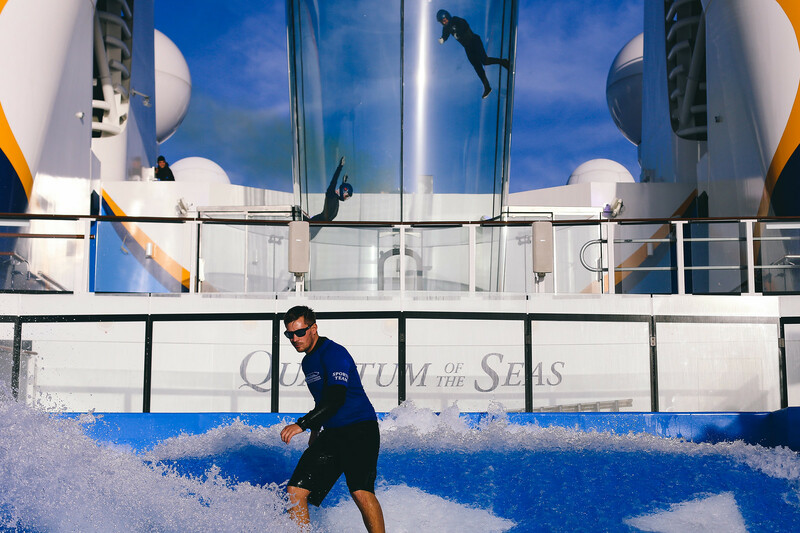 To experience something new with negative preconceived ideas about what you’re about to experience isn’t necessarily the best way to embark on said new experience however this is how we approached the monumental Quantum of the Seas and all it had to offer. As soon as we stepped aboard our negativity walked the plank and took a necessary dive into extinction and was replaced by an overwhelming sense of awe. How can such beauty exist within the steel confines of what can be considered a bulky and not necessarily aesthetically pleasing exterior. 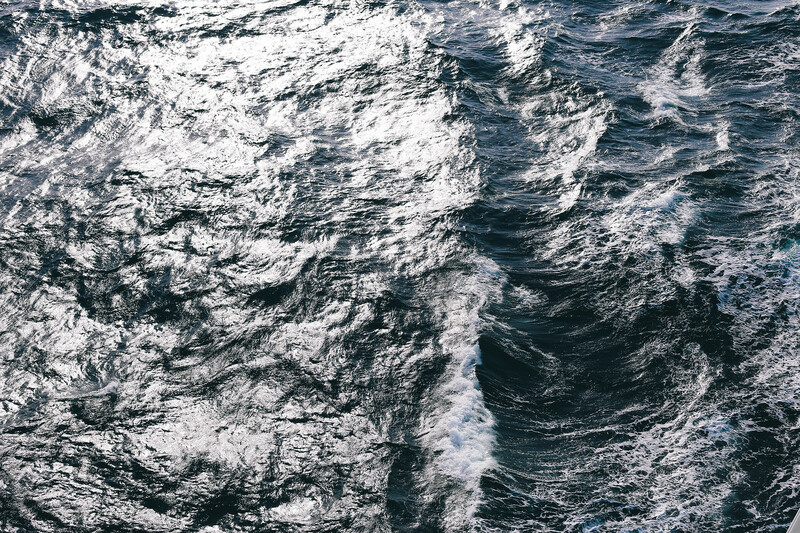 Being on-board takes you to a completely different mind space, it’s almost as if you’ve stepped into a different world leaving everything you once knew behind – Narnia has nothing on this. It’s such its own world that in each of the elevators there is a tile on the floor naming the current day because time seems to just fall away, it’s so easy to forget what day it is. One of the most important lessons we learned during our trip was to never fully accept the thoughts of others until you have formed your own informed thoughts and opinions. This lesson was thrown at us throughout the weekend as we learned and experienced more and more about what the ship had to offer. A special mention has to go to the spectacular show that we watched in what was truly a mind boggling space considering we were on a ship. 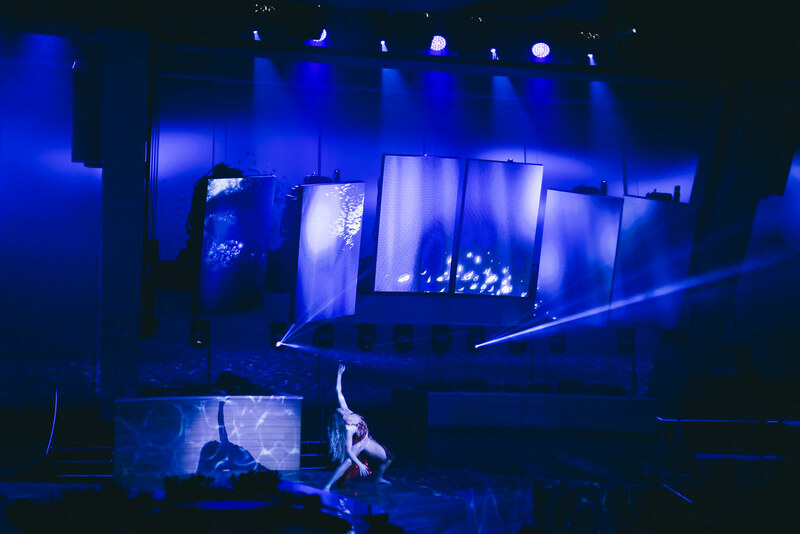 Moving led screens, an adaptable and moving stage with circus like ariel artists and full singing cast were all brought together to produce an amazing show that captivated the audience from start to finish. This show would have been great had we have gone to see it in a theatre but it was made even more magical by the fact that we were on a ship in the middle of the sea and were still able to witness such greatness. 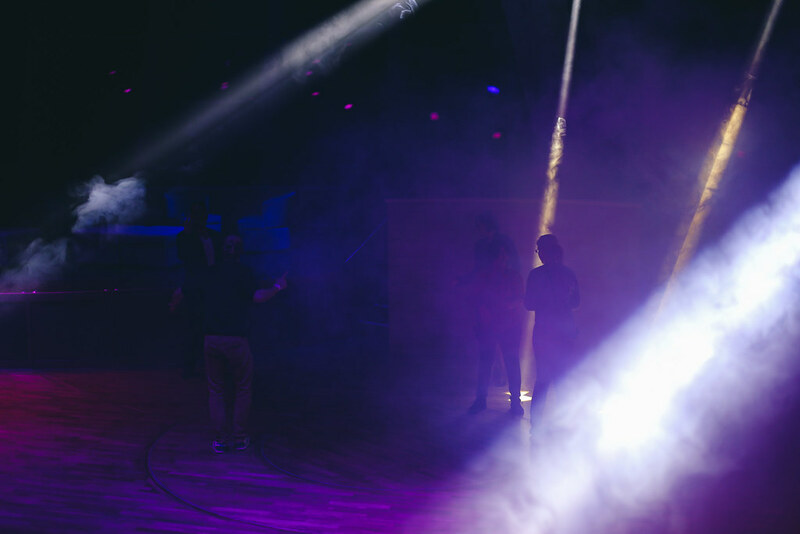 With all of the technology, entertainment and sheer volume of things to enjoy on-board I can safely say that perception is not always reality. 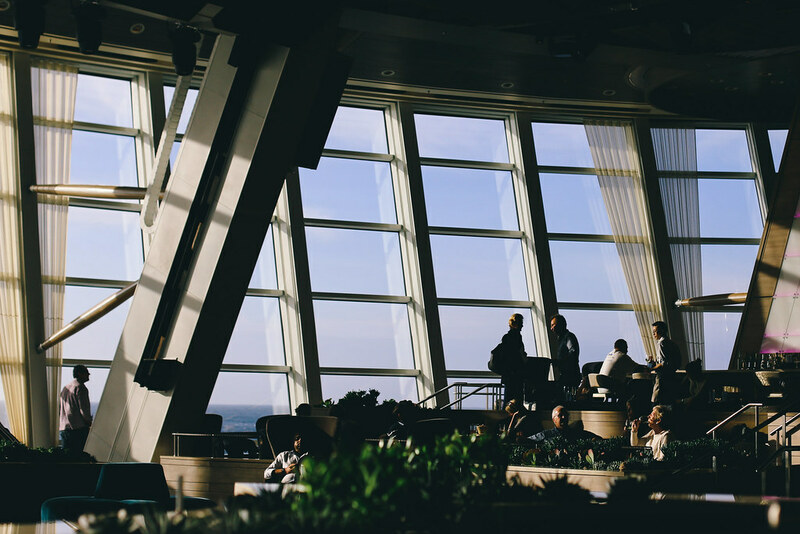 We now have a newly found appreciation for the cruise industry both from a holiday makers perspective but also an engineering and operational point of view. Do people actually consider what it takes to build such a ship that enables people to feel like they are practically immersed in a miniature city on water, I think not. 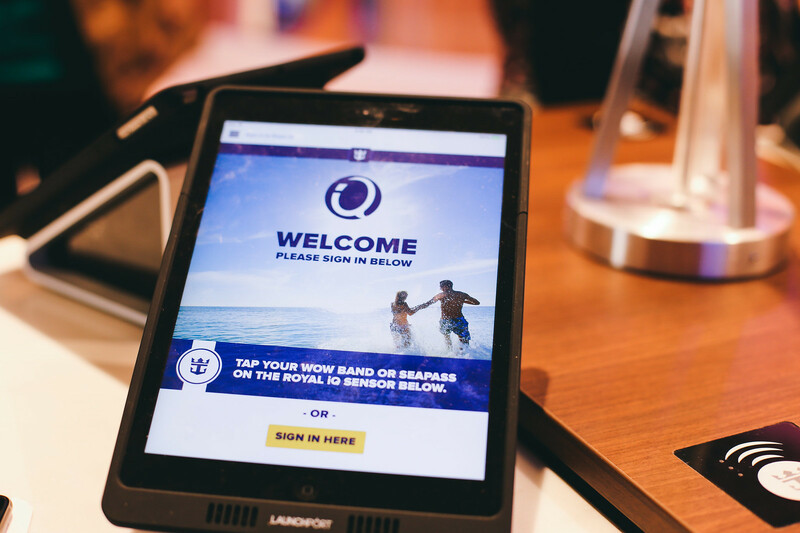 Royal Caribbean have nailed it in every aspect, and makes you look at cruises in a whole new light.